Pakistan’s President Asif Ali Zardari made a three-day visit to China this week at a time when relations between Islamabad and Beijing appear to be growing stronger. Regional analysts say that while China is of growing importance to Pakistan, it is unlikely to replace the U.S. role as a dominant influence there. The opening ceremony at the first China Eurasia Expo was full of pomp and fanfare. Greeted with applause and smiles, Pakistan President Asif Ali Zardari ended his visit to China standing on stage next to the man who is widely expected to be the country’s next leader – Vice Premier Li Keqiang. 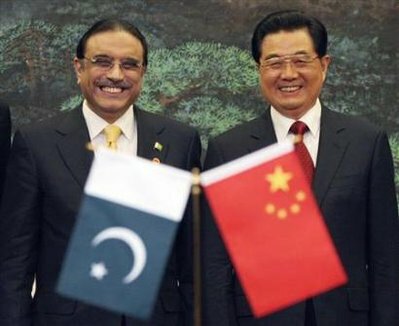 Ties have long been strong between Pakistan and China, a country Islamabad endearingly calls its “all-weather friend.” Mr. Zardari has visited China twice since the raid on Osama bin Laden’s compound – seven times since becoming president. Some regional analysts say the recent deterioration of U.S.-Pakistan ties has pushed Pakistan into Beijing’s arms. They argue the combination of repeated drone strikes in Pakistani territory, the raid on Osama bin Laden’s compound, and suspension of $800-million in military American aid to Pakistan has brought Beijing and Islamabad closer together. But regional analyst Tarique Niazi, an associate professor at the University of Wisconsin Eau Claire, says Mr. Zardari’s most recent visit to China is part of an ongoing effort by Pakistan to seek help to address its urgent needs and boost trade. And not necessarily a sign of shifting alliances. “Pakistan is short of energy resources. It has about 4,000 megawatts of electrical shortage. So, China is helping Pakistan meet that shortage of electricity,” Niazi said. One of the ways that China is doing that is by building massive hydropower projects in both Pakistan’s northern region of Gilgit-Baltistan and Pakistani-controlled Kashmir. Niazi notes that representatives from both regions traveled to China this week with Mr. Zardari. Pakistan’s president is constantly focused on three things, he adds: investment, trade and economic development. “President Zardari, especially I must say, that he is the first leader of Pakistan whose focus is almost entirely on economic development and developing business relationships with not only the public sector and the government sector of China, but the private sector also,” Niazi said. When Mr. Zardari stepped into office, he pledged to visit China every three months – and for the most part has kept that promise. Since then, analysts say he has inked deals that will raise China’s overall investment in Pakistan from $20-billion to more than $50-billion. 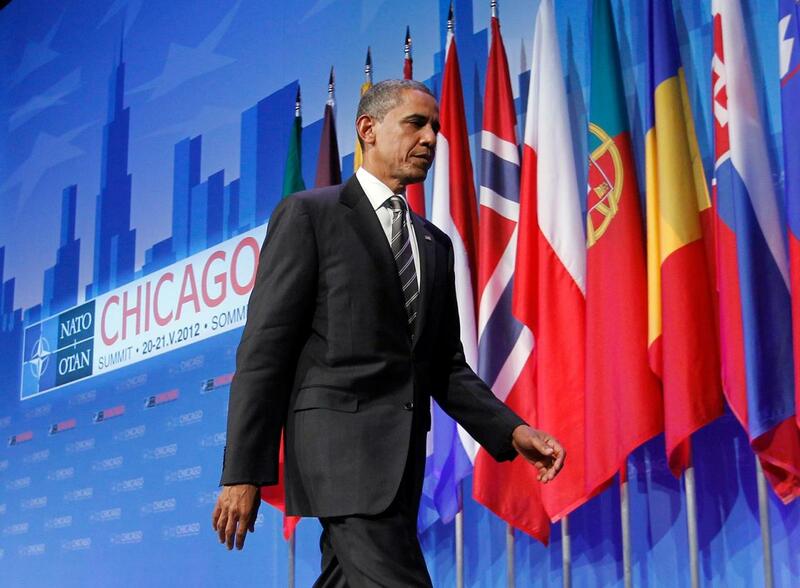 China is eager to boost trade and investment in the region too. At the opening ceremony of the China Eurasia Expo, Commerce Minister Chen Deming highlighted how China was reaching out to Asian and European countries at a time when the world economy has yet to recover from the global financial crisis. Chen says China is moving faster in opening its western region and border areas to promote regional development. He says China is taking a big step forward to deepening development and cooperation between Asian and European countries. “I would say that the best way to think about the current situation is that China is expanding in all directions, its power is growing, and it is looking north, south, east and west. And when it looks to Pakistan it sees potential in terms of access to Central Asia, Central Asia energy markets. It sees access to the Arabian Sea, the Indian Ocean,” said Daniel Markey, a senior fellow at the Council on Foreign Relations for India, Pakistan and South Asia. Markey says that while Pakistan has been reaching out recently to China, in part to show Washington it has options, he is not convinced Beijing is interested in seeing a real rupture between Islamabad and Washington. “My sense is that, yes, over the long term, China would like to be the dominant influence in Pakistan and really expand its influence throughout the region, which would probably mean a lesser influence for the United States. But, in the short time, China has been very comfortable essentially free-riding off of whatever stability and security the United States has provided and that they do not want to change,” Markey said. He says one reason for that is because a rupture in ties between Pakistan and the United States could trickle over into relations between Beijing and Washington, and there the two already have enough to deal with as it is. Mention Pakistan today and what comes to the minds of most Americans is terrorism, poverty, and hopelessness. That’s all they see in the news. But Pakistan also has one of the world’s most diverse and rich cultures, equaled only by its spectacular natural beauty as home to part of Kashmir, the Khyber Pass and high mountain peaks like K2. Once upon a time in the not so distant past, Texan gun enthusiasts brought their prized antique revolvers to Peshawar’s gun smiths to make copies, actor Robert DeNiro posed for pictures with restaurant owners while vacationing in Chitral, and Mick Jagger tested his dance skills with Lahore’s most well-known Mujra dancers. And many of Pakistan’s greatest musicians and singers like Nusrat Fateh Ali Khan regularly collaborated with their counterparts in Europe and America such as Peter Gabriel and Pearl Jam’s Eddie Vedder. Two decades ago, we failed to uphold our principles and fulfill a moral obligation to help rebuild Afghanistan and assist Pakistan with the painful aftermath of the Soviet-Afghan war, which included millions of Afghan refugees who still reside in Pakistan. In stark contrast, we helped rebuild our enemies Germany and Japan after WWII, but inexplicably abandoned our friends after the war in Afghanistan, a key factor in allowing extremists to begin their destructive swarm across Afghanistan and Pakistan’s western frontier and become a grave threat to the security and stability of the entire world. But today, while the wounds are deep and the challenges are great, the forces of light and sonic harmony are again on the ascendance. Pakistan today is home not just to 11 music video channels and has one of the most innovative and vibrant music scenes anywhere in the world. A country that has produced some of the greatest sitar and tabla players is today home of some of the finest singers, guitar shredders and drummers. Music pioneers like Junoon, the godfathers of “Sufi Rock,” are joined by Qawwali rockers like Mekaal Hasan and Aaroh, indie projects like Peshawar’s Sajid and Zeeshan, and Heavy Metal innovators like Akash and Karavan. In recent years Atif Aslam has become the most successful Pop singer in all of South Asia with a growing following world-wide. The Pakistan America Peace Through Music Project was inspired by the work of Greg Mortenson (author of the bestseller “Three Cups of Tea” and “Stones Into Schools”) and is based, among other things, on world music pioneer Manu Dibango’s declaration that musicians are “all from the same tribe” regardless of their race, nationality or religion and John Coltrane’s belief in the power of music to spread peace and harmony. Building on the millennia-long tradition of musical and cultural exchange in Pakistan and South and Central Asia more broadly, we will bring a group of leading musicians from the U.S. to Pakistan led by guitarist/producer Lanny Cordola (House of Lords, Giuffria, The Beach Boys), drummer/producer Matt Sorum (Guns ‘n’ Roses, Velvet Revolver), singer/guitarist Todd Shea and many others for a month long musical caravan throughout the country, creating and performing with some of Pakistan’s most well known, talented and innovative artists such as Atif Aslam, Shehzad Roy, Strings, Arieb Azhar, Abda Parveen, Ustad Fateh Ali Khan, Rustam Fateh Ali Khan, Beo Rana Zafar and celebrated record producer Rohail Hyatt (Vital Signs, Coke Studio). The inspiring poetry of Allama Iqbal and other revered poets will be prominently featured as an artistic and cultural base for the musical collaboration. 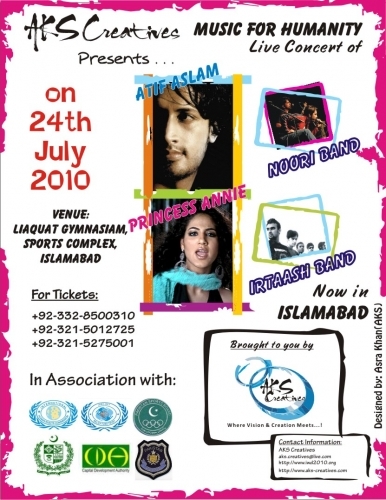 Later on in the year, the Pakistani musicians will come to the U.S. for performances and events joined by their American comrades (including members of Guns ‘n’ Roses, Velvet Revolver, Red Hot Chili Peppers, etc. ), which will also include time for more song writing and recording. Both the Pakistani and American “legs” of the gathering will be filmed for a documentary. The music and film will then be completed and released for sale on CDs & DVDs. The project’s goals will be to bring Americans and Pakistanis closer together by erasing misconceptions and raising awareness of the diversity and beauty of Pakistan and its people, ultimately revealing the commonalities between Pakistani/Muslim and American cultures, to show Americans the Pakistan they never see in the mainstream media and to support Pakistan’s courageous artistic community, as well as raise funds and awareness to help establish and equip music schools and fund innovative health and education projects across Pakistan and Afghanistan. Once the initial project has been released, the music will continue with a series of collaborations with musicians and artists from all over the world to bring people together and help people in need. Help bring people from all over the world closer together through a musical journey designed to erase misconceptions and build bridges of Peace and understanding between Human Beings. Go to http://www.globalgiving.org/projects/peace-through-music and donate to the project. SHINE Humanity and The Sonic Peacemakers need your support to help raise the funding needed to produce, record, film and document musical collaborations between singers and musicians from all over the world to promote peace and support humanitarian aid projects.